The Morgan Hedge Internet Portal and Web Site is owned and operated by Viimedia S.A., a SC registered Company No.47933 (�??Viimedia�?�). Please read these terms and conditions carefully. By accessing the Morgan Hedge Web Site ("Site") and any pages thereof, you agree to be bound by the terms and conditions below. If you do not agree to the terms and conditions set forth below, do not access this Site, or any other material available through this Site. The terms and conditions below may be updated or modified by Viimedia from time to time without notice to you. 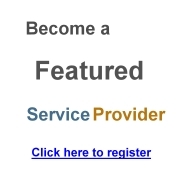 You are responsible for regularly reviewing theses terms and conditions and additional terms posted on the Site. Viimedia may discontinue, temporarily or permanently, the services of the Site with or without notice. You agree that Viimedia shall not be liable to you or to any third party for any modification, suspension or discontinuance of Service. The information and materials contained in these pages, and the terms and conditions that appear, are subject to change. 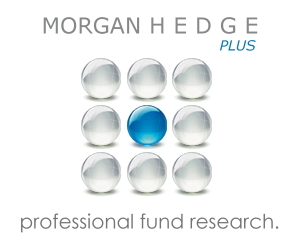 The unauthorized use of the Morgan Hedge Site including but not limited to unauthorized entry into the Site, misuse of passwords, or misuse of any information posted on the Site is strictly prohibited. The User's eligibility for access to the Morgan Hedge Site is subject to final determination by Viimedia. Use of the Internet is solely at your own risk and is subject to all applicable local, state, national and international laws and regulations. Viimedia has attempted to create a secure and reliable Site, however, it is important to be aware that the confidentiality of any communication, information or materials transmitted to or from the Site over the Internet cannot be guaranteed. The registered user may view download and print information and materials on this Site for personal and internal business use provided that all hard copies contain all copyright and other applicable notices. The registered user may not reproduce, modify, copy, alter in any way, distribute, sell, resell, transmit, transfer, license, assign or publish any information obtained from this Site. Registered user shall not use this Site at any time for any purpose that is unlawful or prohibited and shall comply with any applicable local, state, national or international laws or regulations when using this Site. Morgan Hedge, and the logos and marks included on the Morgan Hedge Site are proprietary materials. The use of such terms and logos and marks without the express written consent of Viimedia is strictly prohibited. Copyright in the pages and in the screens of the Site, and in the information and material therein, is proprietary material owned by Viimedia unless otherwise indicated. The unauthorized use of any material on the Morgan Hedge Site may violate numerous statutes, regulations and laws, including, but not limited to, copyright, trademark, trade secret or patent laws. Standard & Poor's S&P 500® Index is a registered trademark of Standard's & Poor's, a division of the McGraw-Hill Companies. The information and materials contained on our Site are intended for viewers worldwide. Before registering and entering our site and viewing information on our site you agree that the laws and regulations in your country of residence or citizenship do not prohibit you to view or access information on our Site. The information is not intended for distribution to, or use within, any jurisdiction, or use by any person, where such distribution or use would constitute a violation of law or regulation or would subject Hedgweb to any registration requirement within such jurisdiction. Persons who register on our website, gain access to all content and information on this Web Site and are planning to invest in unregulated investments should inform themselves as to: (a) the legal requirements within the countries of their nationality, residence, ordinary residence or domicile for such action; (b) any foreign exchange restriction or exchange control requirements which they might encounter on acquisition or disposal of securities under the laws of the countries of their citizenship, residence or domicile; and (c) the taxation consequences which might be relevant to the acquisition, holding or disposal of securities under the laws of the countries of their citizenship, residence or domicile. Some information on private, unregulated Investment Funds and Alternative Investments on this website is directed only at permitted persons under The Financial Services and Markets Act 2000 (Promotion of Collective Investment Schemes) (Exemptions) Order 2001. Some investments are not available directly to private investors. The information is for illustrative purposes only and persons who do not have professional experience of participating in unregulated schemes should not rely upon it. It might be directed only at Investment Professionals having professional experience in matters related to investments and of participating in unregulated schemes. It must not be acted upon by other persons in the UK who do not have such professional experience. 3. Own funds: EUR 2,000,000. (C) National and regional governments, public bodies that manage public debt, Central Banks, international and supranational institutions such as the World Bank, the IMF, the ECB, the EIB and other similar international organisations. (D) Other institutional investors whose main activity is to invest in financial instruments, including entities dedicated to the securitisation of assets or other financing transactions. Morgan Hedge and Viimedia are not a Broker/Dealer or registered investment advisor under United States federal securities law or securities laws of any other jurisdiction, and does not advise individuals as to the advisability of investing in, purchasing or selling securities or other financial products or suitability of any investment manager. Nothing in the Site constitutes an offer or solicitation to buy or sell any securities. Nothing contained in the Site is intended to constitute legal, investment, tax or other professional advice, and you should consult with a financial advisor and legal and tax professionals to assist in conducting due diligence as may be appropriate prior to making any investment or hiring any investment manager. Viimedia shall not have any liability for investment decisions based upon information obtained from the material provided on the Site. As a condition of your use of the Morgan Hedge Site, you agree that you will not use the Site for any purpose that is unlawful or prohibited by these terms, conditions, and notices. User shall not use the Site in any manner that could damage, disable, impair or interfere with any other user's use of the Site. You may not attempt to gain unauthorized access to the Site through hacking or any other unauthorized means. You may not attempt to obtain or obtain any materials or information through any means not intentionally made available to the User through the Site. j. Content that is deemed to create a false identity for the purpose of misleading others. Viimedia has no obligation to monitor the communication on the Site, however, Viimedia reserves the right to review materials posted to the Site via a communication service or communication facility and to remove any materials and terminate the User's access to the Site in its sole and absolute discretion, at any time, without notice to the user as the sender. Viimedia reserves the right at all times to disclose any information as Viimedia deems necessary to satisfy any applicable law, regulation, legal process or governmental request, or to refuse to post or to remove any information or materials, in whole or in part, in sole and absolute discretion of Viimedia. The user agrees not to invest in an unregistered private fund posted on the Site for at least 30 days after the date a user Identification name and password is assigned to the User, unless the User already invests in such fund or, the User has already been solicited for or otherwise contracted by such fund. Viimedia compiles data and information provided to it by various fund managers. Viimedia does not attempt to verify and does not warrant the accuracy, completeness or suitability of any data or information. Viimedia shall not be liable for any loss, direct or consequential damages or expenses relating to the accuracy and completeness of the data provided by the various fund managers. This data has been compiled for informational purposes only and not as investment advice. Users should not rely upon this data or information when making an investment decision or selection of an investment manager, and you should independently verify all relevant information prior to making an investment decision. Users should note that past performance is not an indication of future results. We and/or our affiliates, and directors, employees, financial representatives or consultants of ours or of our affiliates, may hold positions in the firms listed or otherwise mentioned on this Web Site or in the information obtained through the use of this Web Site. From time to time, we and/or our affiliates may perform services for, or solicit such services from, companies mentioned on this Web Site. Additionally, from time to time, we may be unable to provide information with respect to certain companies with which we have certain business relationships. Use of this website is at your own risk and is provided without warranty or condition of any kind, either expressed or implied. To the extent permitted by Seychelles law, we will not be liable for any direct, incidental, consequential or indirect damages, loss or corruption of data, loss of profits, goodwill, bargain or opportunity or loss of anticipated savings resulting from your access to, or use of, or inability to use the website and its content.